Chinese Lion and Dragon dance. 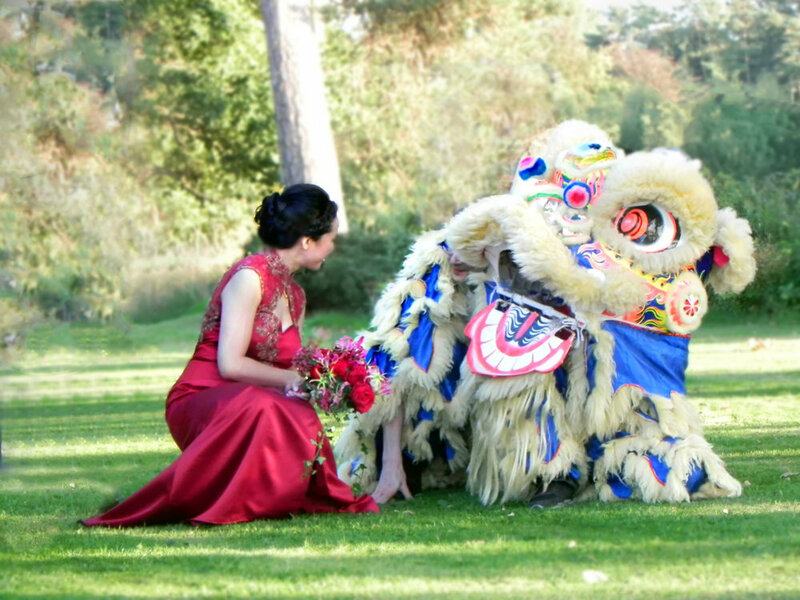 Traditional Chinese lion and dragon dancing displays are available for hire. Members of our Kung Fu groups are welcome to join our lion dance teams. We have created performances for many different events over the past 18 years. Our teams have performed for Chinese New Year, weddings, business openings, film showings, fetes and community events. To book a lion dance please see the form below. Lion dancing originated during the Tang dynasty and this tradition is still being taught today in Kung Fu schools the world over. Lion dancing offers you a opportunity to learn the traditional musical instruments. You can learn to play the drum, cymbals and gong. Training the dance will improve your Kung Fu practice. To become a member of your schools Lion dance team ask your instructor. We are always happy to welcome new members.